Amid the many images of violence circulating, some are misrepresenting the conflict. As the death toll rises in the fighting between Israel and Gaza — with more than 75 Palestinians killed in Gaza in three days of rocket exchanges between the two sides — some false and misleading photos of the violence have also spread fast. 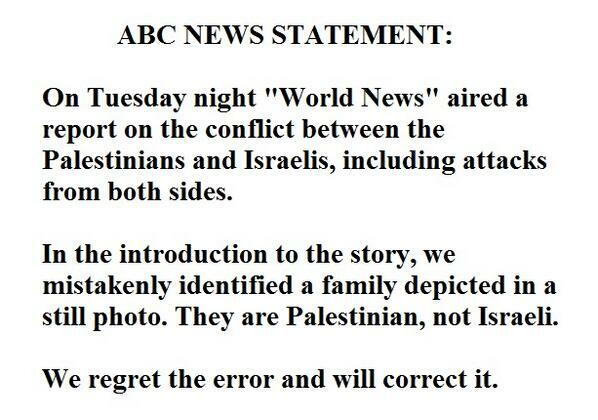 On Thursday, ABC News apologized for airing a segment Tuesday in which Dianne Sawyer called a Palestinian family recovering from an Israeli air strike in Gaza as "an Israeli family trying to salvage what they can" after a rocket attack in Israel. AP photographer Khalil Hamra took the photo. It's original caption reads: "Palestinians try to salvage what they can of their belongings from the rubble of a house destroyed by an overnight Israeli airstrike in Gaza City Tuesday, July 8, 2014." In another incident, The Washington Post on Thursday published a photo on its front page of Israelis responding to an air raid alongside a headline about Israeli air strikes on Gaza homes. Meanwhile, the BBC reported Tuesday that some photos Twitter users shared using #GazaUnderAttack were also falsely identified. Among the harrowing images coming out of Gaza — some of which are too graphic for traditional news sources to publish — some photos being shared in fact were of past Israeli assaults on Gaza, or of destroyed homes and injured people in other conflict zones, like Syria and Iraq. This photo, for example, was originally taken in Allepo, Syria in Jan. 2014. The BBC found that this photo was taken during a different Israeli airstrike in Gaza in 2009. On Twitter, some criticized this trend, dismissing all photos as suspect. Others urged the online community to give pause and be more responsible in sharing the real images of war. 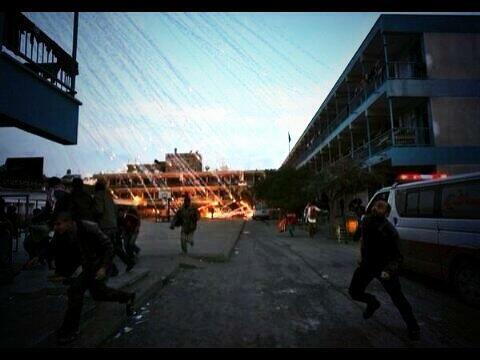 STOP SHARING PHOTOS FROM SYRIA AND CLAIM IT IS FROM GAZA! STOP!